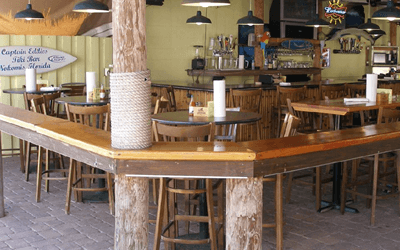 Briandi’s is a family-owned restaurant that provides homemade italian food in a casual atmosphere. They are known for their steaks and buffalo style chicken wings. 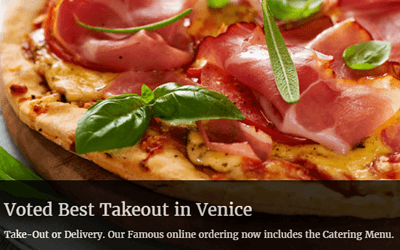 Angelo’s prepares authentic italian cuisine. Homemade bread, pastries, dinners and desserts will make this a new favorite restaurant. Come in for early bird specials and drinks. 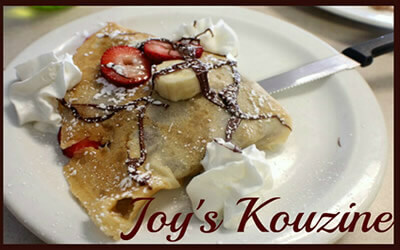 Joy’s Kouzine is a family-owned and operated Mediterranean restaurant that also offers a variety of other dishes. 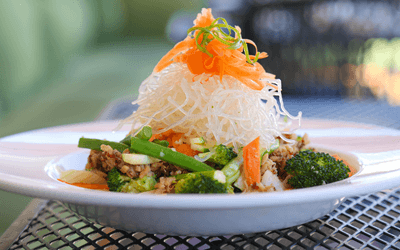 Owners Benny and Alma are passionate about bringing fresh and homemade recipes to the table! 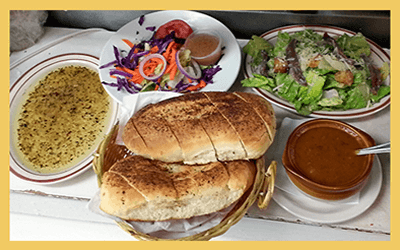 Cafe Evergreen specializes in fresh organic food. They also offer a smoothie bar and produce stand. Breakfast is served on weekends. 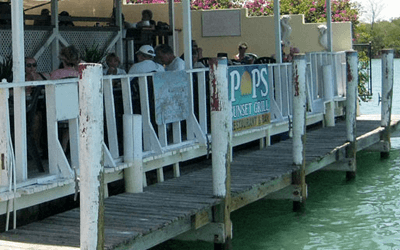 Pops provides waterfront dining and serves fresh seafood, sandwiches, salads, burgers and wraps. Copyright (c) 2019 Casey Key Ventures.